You have a need for digital calendar printing from a qualified wholesale provider, but you don’t want to compromise on quality. After all, your customers expect perfection, and you want to be absolutely certain that the calendars they receive look even better than the digital files that contain them. We hear you. At Color FX Web, we use only the most advanced digital inkjet and laser printers to ensure that your calendars are printed to absolute perfection, and we thoroughly inspect every print to ensure that our rigorous standards are always met or exceeded. Place your order today. Large:folded to 12" x 12") . 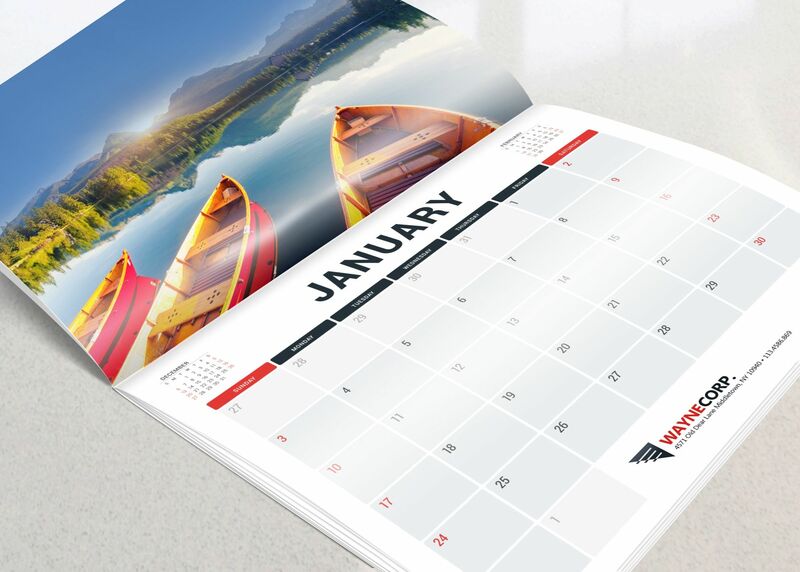 All calendars are printed on 100# or 80# Gloss Book Full Bleed or 70# Offset Book without Coating. They’re available with or without cover, and are saddle stitched with 3 side flush trimmed with 3/8" hole 1/2" from edge of paper. We offer a level of precision and craftsmanship seldom found at our price level. If you have custom calendar printing needs, please let us know and we’ll gladly do our best to accommodate you. We strive to make the process as easy as possible. If you need assistance with your digital designs, we invite you to check out our full range of templates, available in all three sizes. You can customize your calendars using the easy-to-follow parameters we’ve already arranged, and know for certain that the calendars your customers receive are precisely sized before they go to print. No drama, no uncertainty, just easy and straightforward digital printing. For more than 20 years, Color FX Web has been raising the bar for trade printing. We proudly serve print resellers across a wide range of industries, providing them with top-quality printed materials that the competition simply cannot replicate. We have an A+ rating with the Better Business Bureau, we have won a myriad of print industry awards, and our commitment to environmental responsibility is unwavering. 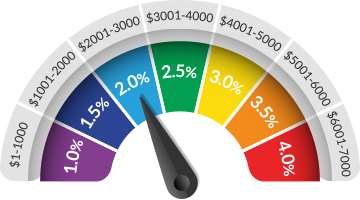 We offer some of the most competitive rates that you’ll find, all while maintaining a level of quality that is second to none. We specialize in printing, but we pride ourselves on customer service. We work hard to gain and earn your trust, so when you register with us, you can rest assured that your account is in good hands. We will assign you your own personal account representative to get to know you and your business, and to provide you with a truly custom experience that always meets your needs. We’re here to answer your questions, offer advice, and save you money. Register with Color FX Web today, and experience the difference for yourself.